Before I get into the weekend details, I need to point out that the North Fork is set up VERY well for a long weekend getaway. Almost nothing I discuss below is more than 25 minutes from anything else and many spots were mere minutes from each other. 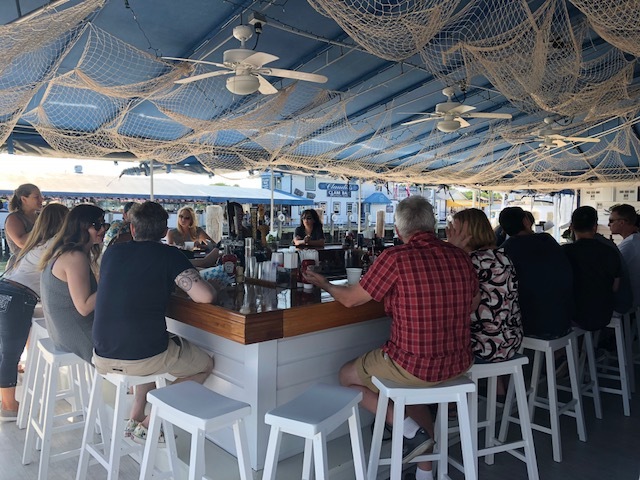 Virtually all that you’ll do while out east is along Route 25 - beginning in Riverhead (the last town before Long Island literally forks into the “North Fork” up north and the “Hamptons” down south), and ending in Orient Point. Also, somewhat shockingly, nothing was all that crowded while we were out there. Getting restaurant tables, pool chairs, parking spots or service at a winery was easy. I think the fall may be prime time in the North Fork, but even still, we were quite surprised how quiet things felt for the weekend before July 4th. As you drive along Route 25 you will see countless, gorgeous farms and farm stands. These farms are a large part of why we are now dreaming of a second home out here - shopping for fresh produce and pasture raised meats to be grilled back at our house over a bottle of white wine would be heavenly. On our way out to Greenport, we made a quick stop at South Shore Market and Farms in Jamesport to let our girls stretch their legs and pick a few strawberries. After spending five minutes gawking at all the beautiful produce, we grabbed a bucket, walked out to the fields and started picking - it was all so simple and wonderful. Unsurprisingly, the strawberries were far more flavorful than the ones we get at our local supermarket. They made for a great snack for the rest of our drive. And on our way back to CT, we loaded up on farm goodies to take home. We heard such great things about Sang Lee Farms in Peconic. 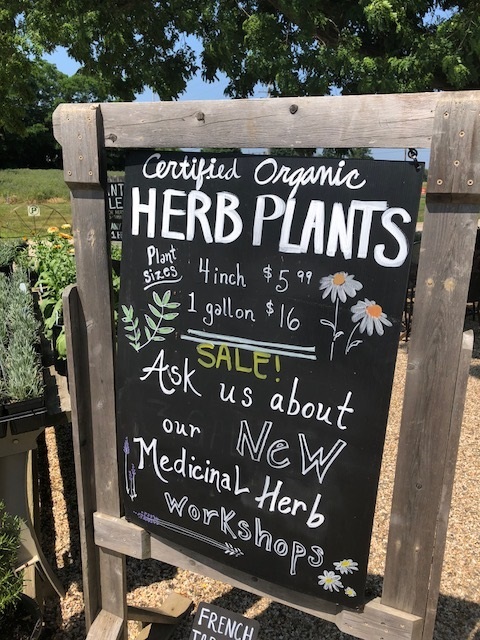 A certified organic farm, Sang Lee is beautifully kept and well staffed, specializing in Asian and heirloom fruits, vegetables, herbs and plants. Behind the vast produce displays also sits refrigerators with delicious sounding dressings, dips, soups and other prepared foods, much with an Asian leaning. Along with a basket full of fruits and vegetables, we picked up their Scallion Salad Dressing and Creamy Herb Spread. Both were outstanding. (Pro Tip: there’s a small playground on site to entertain the kiddies while you shop). We intended to continue our farm crawl home by next hitting 8 Hands Farm, but it was unfortunately closed. So we instead bounced around to a few other farms, including Ty Llwyd Farm (known for its eggs and raw milk) and Briermere Farms (VERY well known for its fruit pies). Sure, we have farms and really solid farmer’s markets out here in CT, but bringing back these edible souvenirs helped extend our trip another few days. If you visit the North Fork, you must incorporate a few farm stands into your visit. The North Fork is well known for its wineries. I’ve been to a lot of them over the years, including visiting a few via large tour bus as part of my sister’s bachelorette party in 2010. For this trip, I was looking for wineries that were (a) okay with kids tagging along and (b) not crazy popular with those bachelorette party buses. We ended up at three great wineries. And what’s generally awesome about the North Fork wineries (and breweries) in warmer weather is that they almost always offer huge open outdoor spaces for the kiddies (and doggies) to burn off steam while you get your drink on. Hooray! 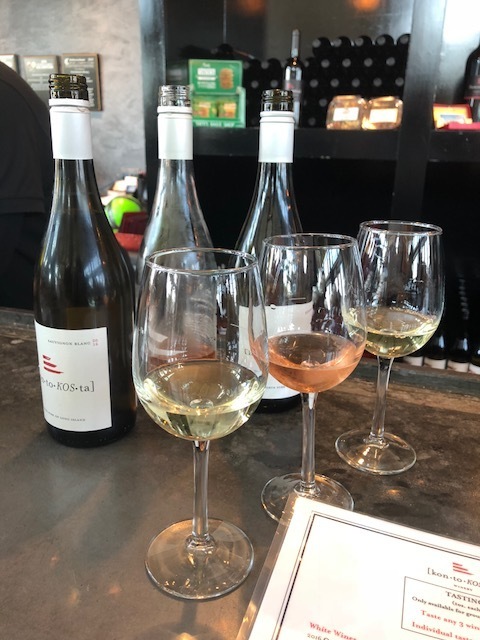 We spent about an hour at Kontokosta Winery, a gorgeous ocean-front, sprawling and modern looking winery a few minutes from our hotel in Greenport. It was beautiful inside the tasting room, but with our kids in tow, we took our glasses and our cheese plate and headed for the vast outdoor space. Our girls nibbled on the cheeses, while we relaxed with our wine and the beautiful scenery. It was swell. The next day we made another super quick winery stop, this time to Macari Vineyards in Mattituck. This was an impromptu stop, thanks to learning that Eddie Macari recently started making insanely delicious pizzas out of a gorgeous food truck called Avelino Pizza parked on the Vineyard’s patio. We quickly raced over, placed an order and found a seat on the Macari covered patio. I ordered a tasty glass of Sauv Blanc to wash down my incredible Arrostito pie (mozzarella, red onion, 'nduja, garlic, olive oil and wood roasted cherry tomatoes). A great lunch and break from the unrelenting sun. Our mad dash through Macari was due to us having to catch our reservation at Bridge Lane Wine down the street. This was the winery I was most excited about. A quick look through Bridge Lane’s website or Instagram account and you can probably guess why - this is a winery that has tapped into the present. 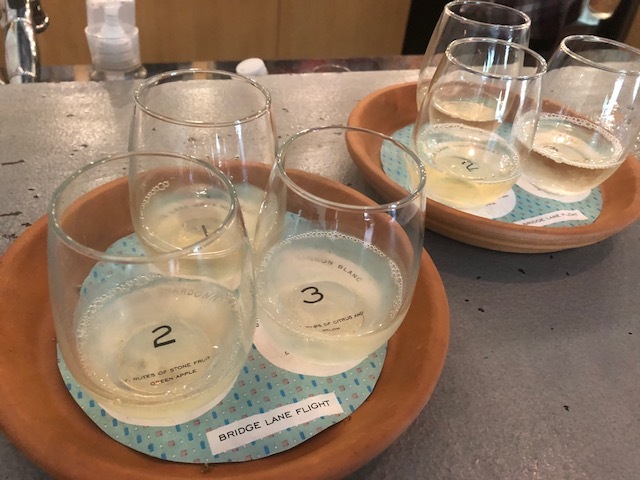 Bridge Lane offers its wines in four different formats - by the traditional bottle, by the can (roughly 2 glasses), by the box (roughly 4 bottles) and by the keg (roughly 26 bottles)! Bridge Lane is a sister winery to Lieb Cellars - Lieb’s younger, hipper sister, that is. The winery rebranded its image in late 2015 and they did the job hella well - all of their wines, especially in their vibrantly colored cans, shout out, “Hey! Take a picture of me and put it on social media!” I’m happy to report that Bridge Lane is more than just its looks. 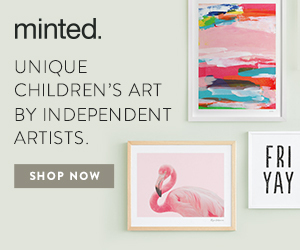 All five of their varietals are noticeably dry and free of residual sugars. I usually balk at Chardonnays but theirs is steel fermented and delicious. I came home with a box of Sauvignon Blanc for my ‘fridge and I’m toying with the idea of a Rosé kegger later this summer. It seemed to us that Bridge Lane is taking some of its cues from the craft beer craze of the past few years (i.e. by offering wine in cans, kegs, etc). And speaking of beer, while the North Fork is wine country, local beer is easy to find, too. The most well known local brewery is Greenport Harbor Brewing Co. 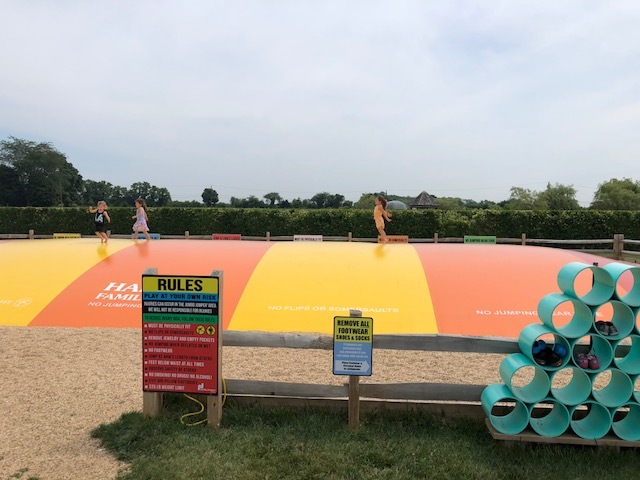 The Brewery originated right in the Village of Greenport, but having four kids in our group, we opted to visit their larger, second location in Peconic. The Brewery offers a full food menu (counter service) to soak up your beers and keep the kids happy. There’s plenty of indoor seating, as well as a large outdoor space with corn hole and Jenga. Oh and we carried a bag of toys and games with us during our brewery and winery visits. We didn’t have time for Jamesport Farm Brewery this trip, but I’m tabling a visit for this fall, when we hopefully come back out to the area to pumpkin pick. Without a doubt our kids' favorite part of the weekend was the THREE hours we spent at Harbes Family Farm’s Barnyard Adventure. Harbes is my extended family’s “spot” for apple and pumpkin picking and so, we’ve been a bunch of times before. But never had we experienced the children’s mecca that is Barnyard Adventure. Initially balking at the $18.95 per person entrance fee, we left Harbes feeling it was money very well spent. To name a few, Barnyard Adventure activities include: pig racing, “Jumbo Jumper” bounce pillows, a singing hayride and a gnome hedge maze. There is literally something for everyone, including my 41 year old husband. Our younger daughter could have spent all day playing in the Lil’ Farmers Playland. Our older daughter loved racing around the Trike Track and playing in the Sports Zone. And yes, my husband and I nearly broke our necks on the Jumbo Jumper. There were so many hidden games and attractions (there was a wooden cow to milk!) to keep the kids busy. They did not want to leave. Even if Barnyard Adventure is not your speed, Harbes Family Farm is a 40 year old family owned farm that is worth a visit any time of year. The farm will host various festivals this summer and fall to celebrate the arrival of new crops, beginning with the Sweet Corn Festival on July 21st and 22nd. When I mentioned above coming back to pumpkin pick in the fall, this is where we will do it. 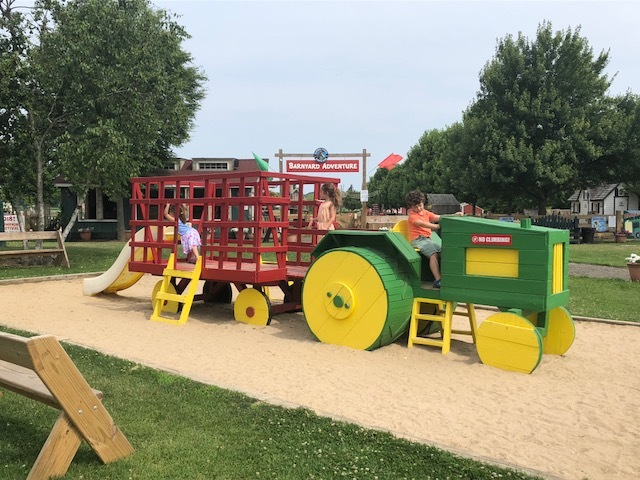 Another VERY popular and technically “farm” attraction we visited was Lavender By the Bay in East Marion. As its name suggests, LBTB is acres and acres of English and French lavender. 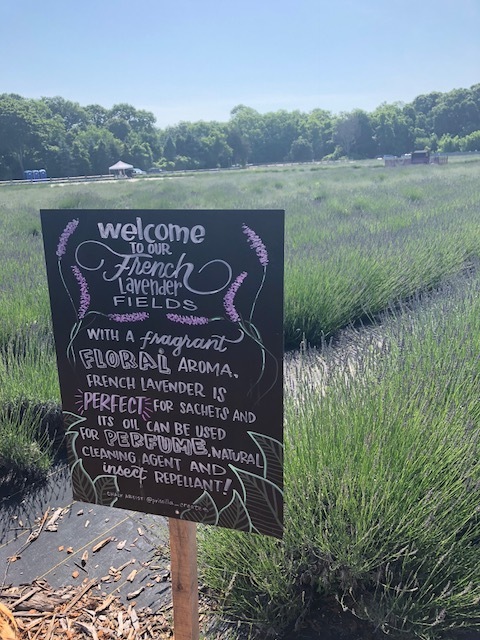 There’s a small entrance fee per adult to enter the lavender fields (essentially the price you pay for a solid lavender Instagram selfie). There’s also a really nice store where I happily purchased fresh lavender, lavender in satchels and lavender hand wash. I like lavender. Our home base for the trip was Greenport and so, we spent a good amount of time in the adorably quaint Village of Greenport. One thing you shouldn’t miss if in Greenport with little ones is the beautiful Northrop-Grumman Carousel in town. The carousel is one of only a few left in the country that offers its riders a chance to grab the brass ring and win a free second ride. Unfortunately, my kids were too young and/or scared to grab for any rings and thus we had no shot at the victory. Maybe next time. Besides the Carousel, there are tons of adorable shops in town that would appeal to the youngins' - toy, candy and ice cream stores. 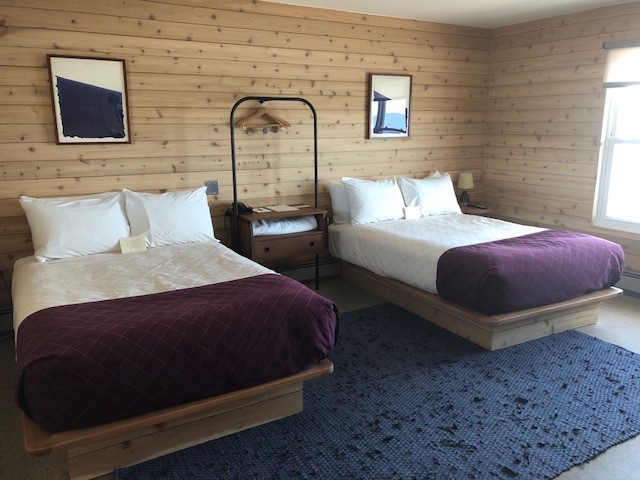 We stayed at the recently renovated Sound View Hotel and we LOVED it. The motel has long been centrally located on Route 25 where Southold turns into Greenport. Every room overlooks the water and includes a patio with killer views. There are stairways throughout providing direct access to the beach. Prior to the renovation, Sound View was an old, no frills motel. But the recent renovation was so tastefully done that today, it's a hip boutique hotel attracting anyone with good taste. The common area has these big, inviting lounge sets with sweeping views of the ocean. Each morning, a really good complimentary continental breakfast is offered there (Hello, free La Colombe coffee!) Just down the hall from there is the Halyard Restaurant and the adjacent Piano Bar, which hosts acts in partnership with NYC’s Joe’s Pub. We didn’t get to visit either spot (those darn kids), but I can at least confirm that both were beautifully renovated. One spot we did spend lots of time at was the Sound View’s pool. The pool overlooks the ocean and has a full time lifeguard and a hip snack bar that is in the process of expanding its offerings. We visited the pool all four days we were out there. We ate well, too, on this trip. 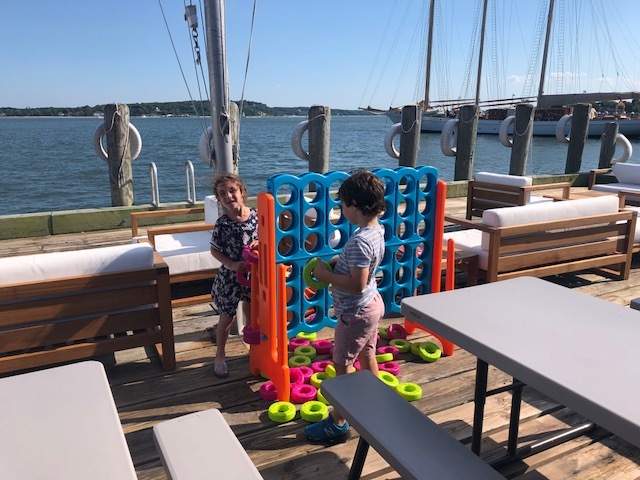 I’ve heard great things about Noah’s and The Frisky Oyster in Greenport Village, but as neither is kid friendly, they weren’t part of this trip. 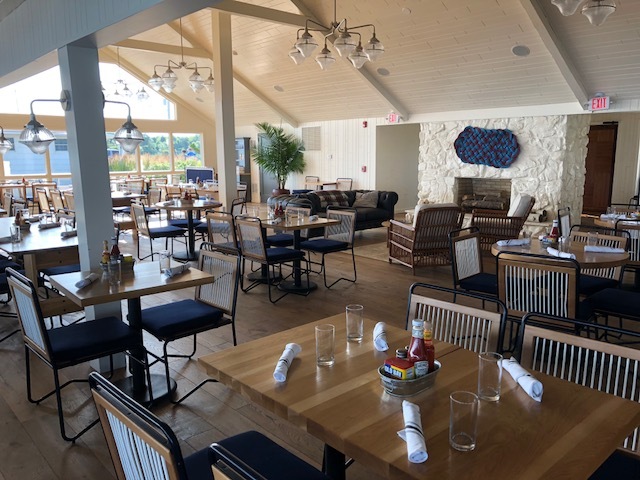 If visiting without kids, check those spots out, as well as The North Fork Table and Inn - we ate there years ago and absolutely loved our one visit. For tasty eats with kids in Greenport, we had great nachos and tacos at Lucharitos one night, and raw bar at the Crabby Jerry’s oceanfront bar and walk up window. Another night, we shucked our own oysters on the outside deck at Little Creek Oyster Farm and Market while the kiddies played nearby. For coffee in town, don’t miss Greenport’s own celebrity roaster, Aldo. Outside of Greenport, we had really delicious sandwiches at The North Fork Shack and equally tasty seafood platters and sandwiches at the Southold Fish Market, both in Southold. Breakfast at Love Lane Kitchen in Mattituck before Barnyard Adventure was a professional move. Last but not least, the dessert game is strong on the North Fork. Magic Fountain in Mattituck is a crazy popular and iconic homemade ice cream shop that you should definitely visit. I’m not usually a big ice cream person but I ate every last drop of my sundae. 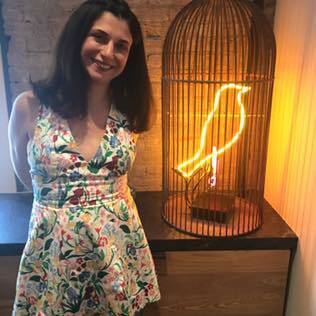 And in Orient Village, there is an adorable second location of the Gowanus knockout pie shop, Four and Twenty Blackbirds. It’d been a few years since I had their pies and they have not lost their luster. Thank you, North Fork, for a wonderful vacation. Can't wait to do it again soon!